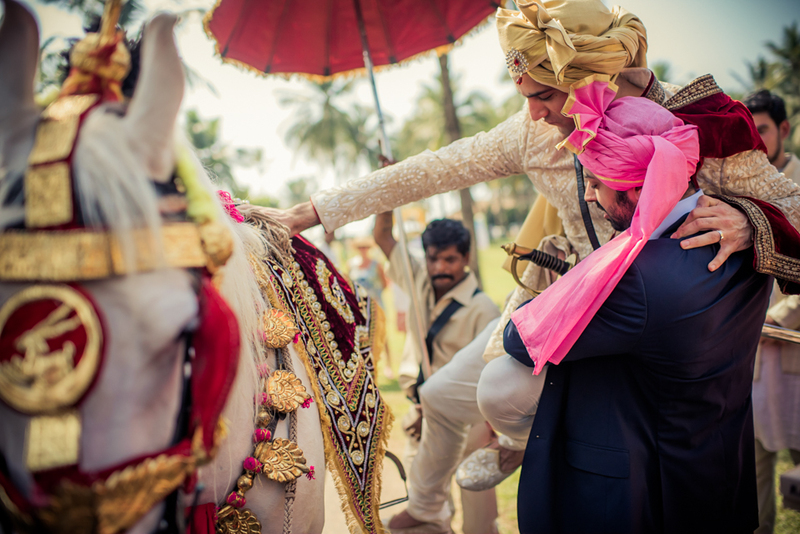 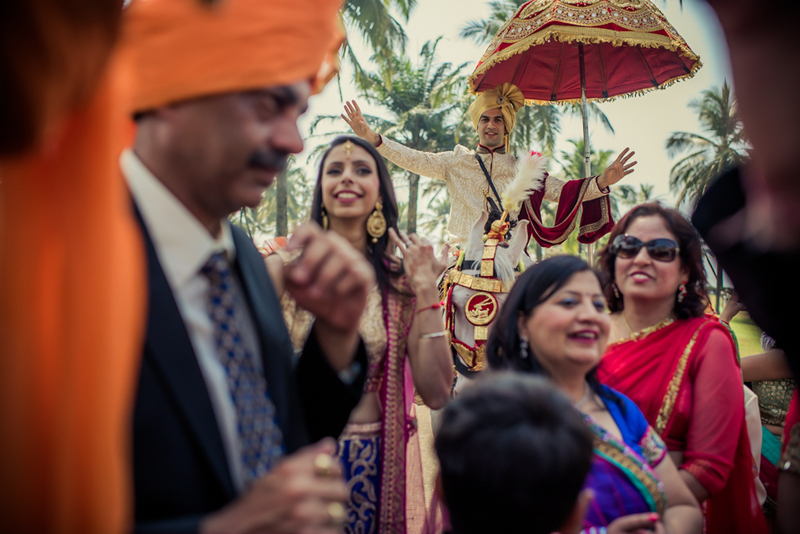 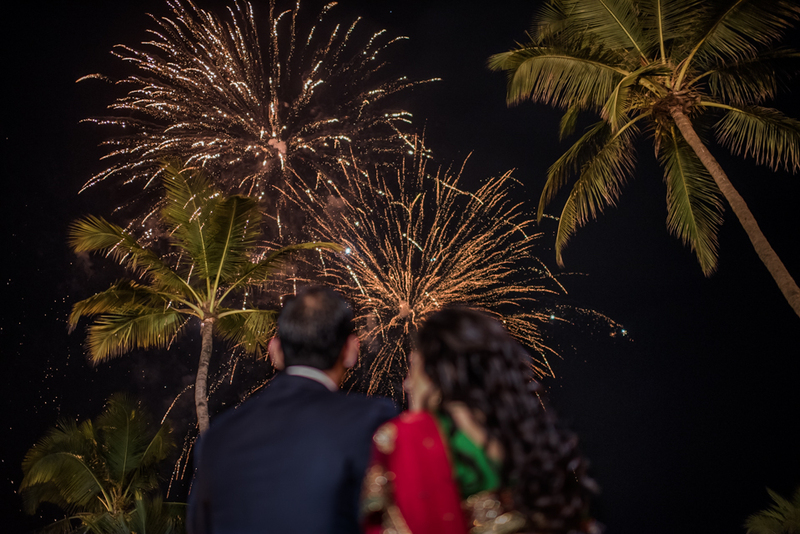 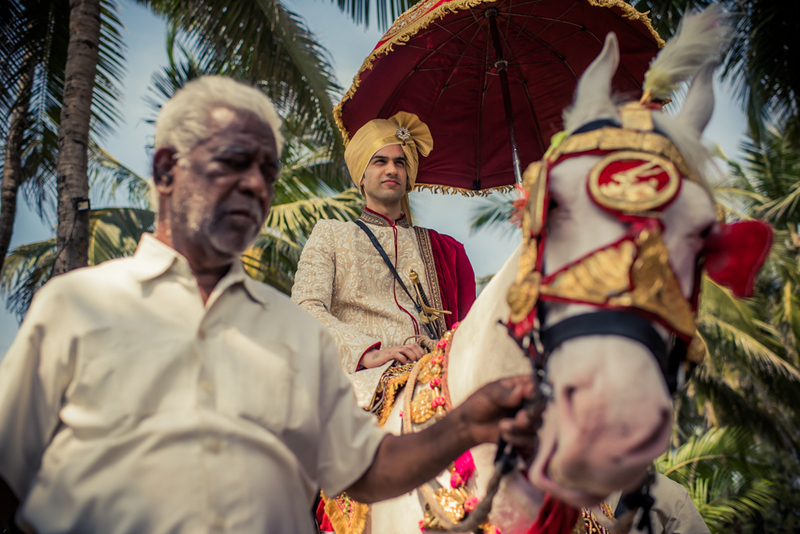 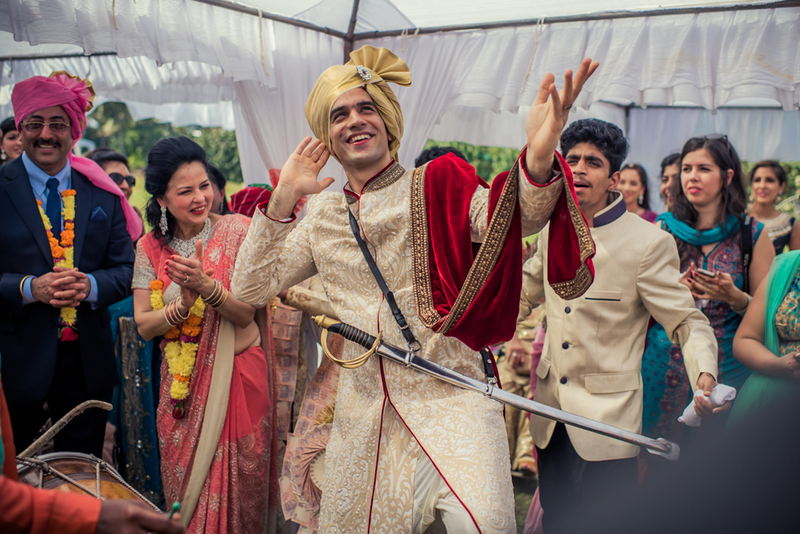 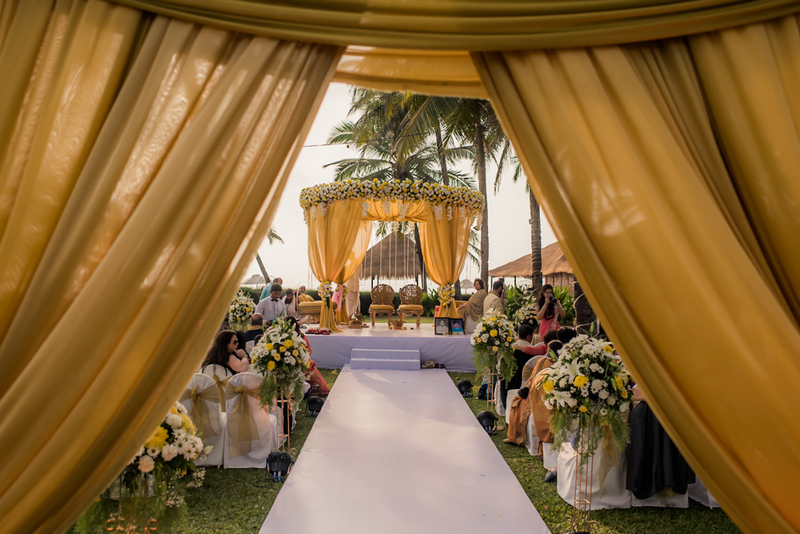 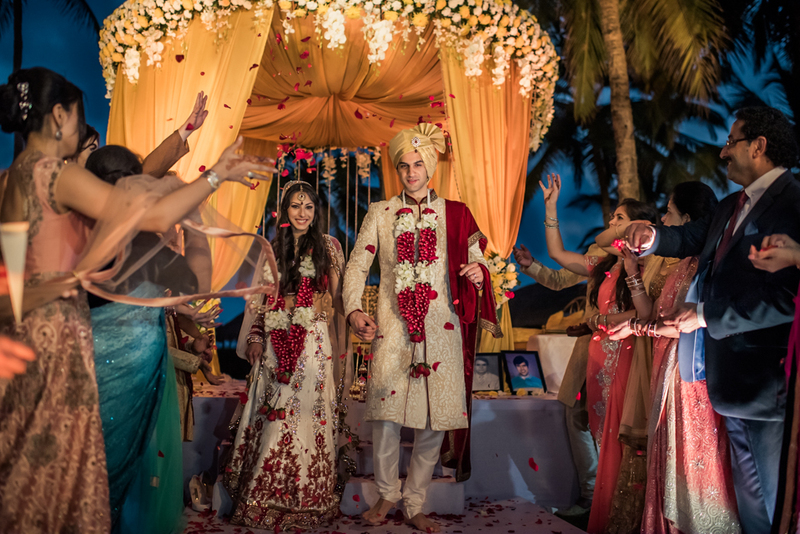 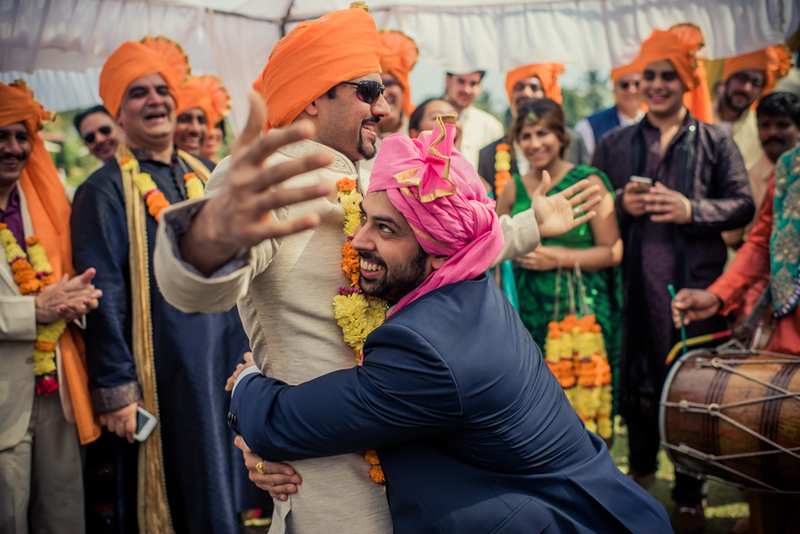 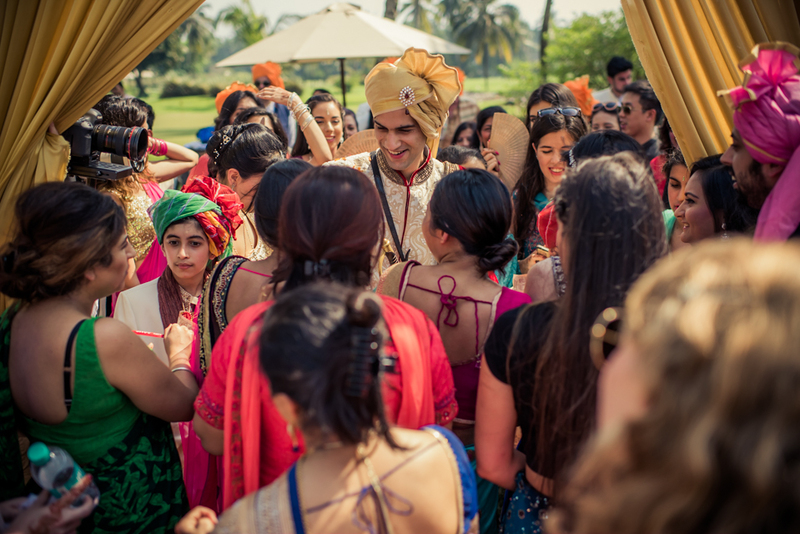 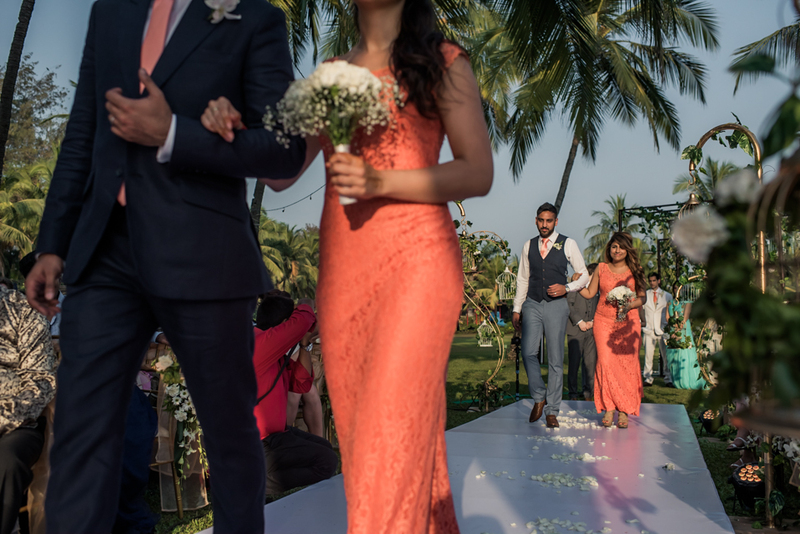 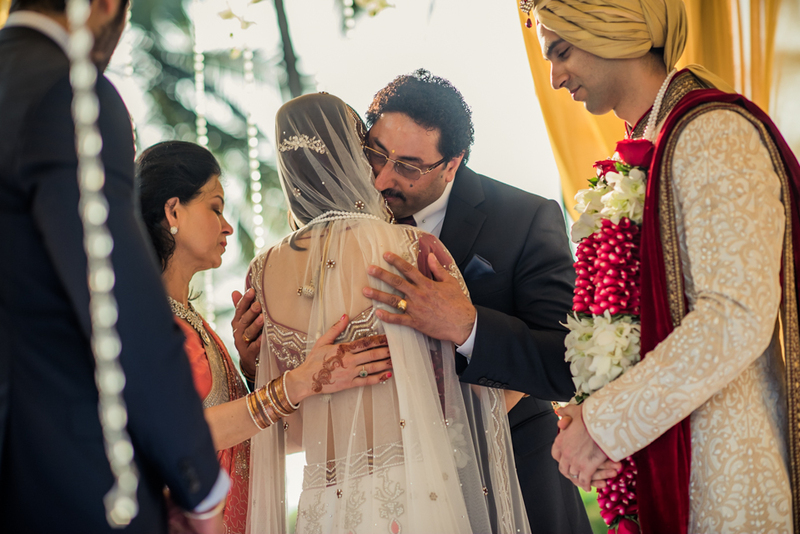 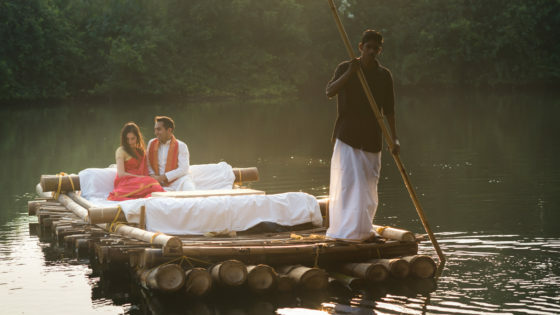 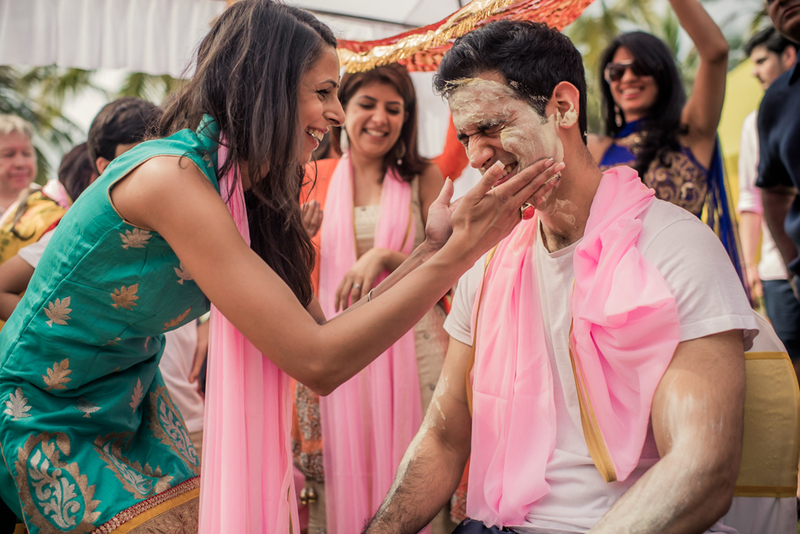 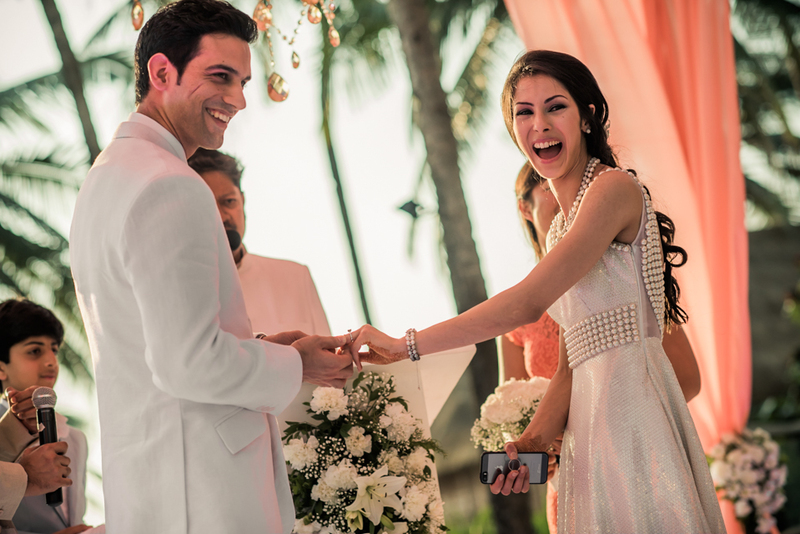 Priya & Gaurav’s two-day grand wedding celebration at Leela Goa Resort. 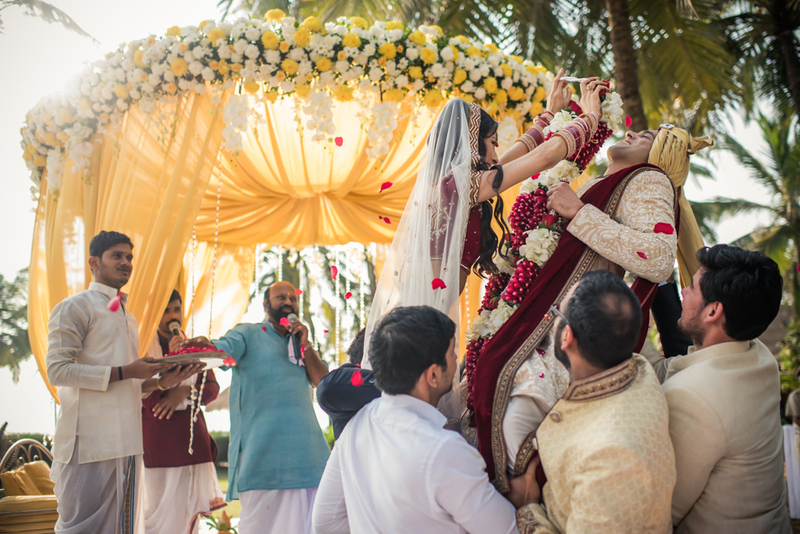 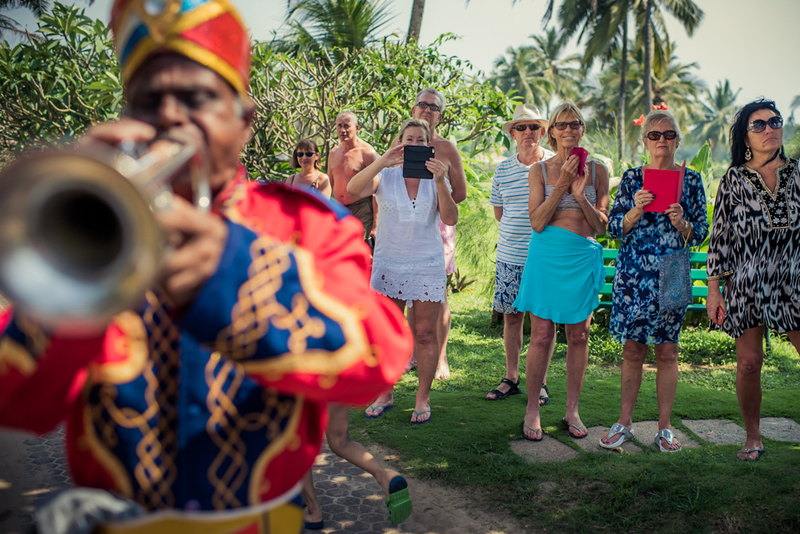 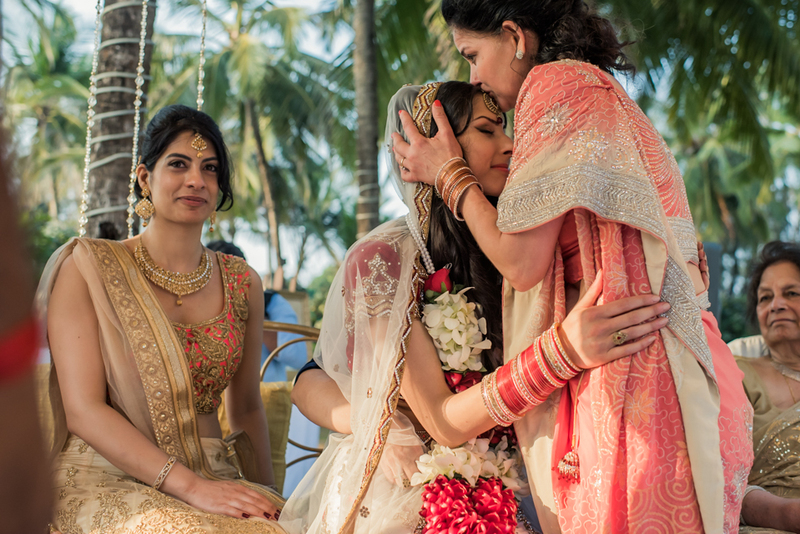 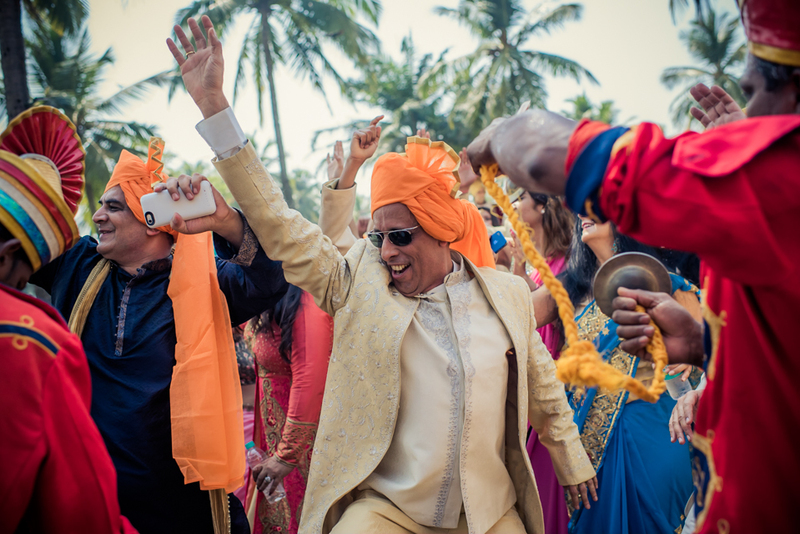 The couple found me amidst their search for a Goa Candid Wedding Photographer online. 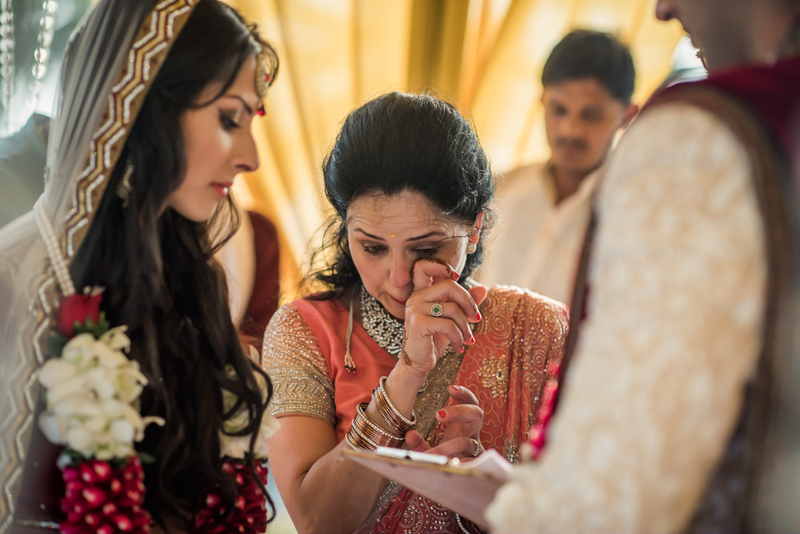 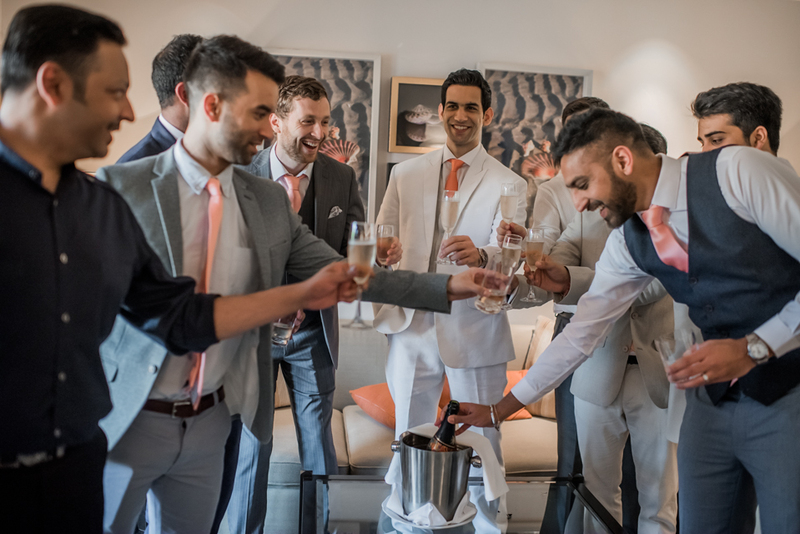 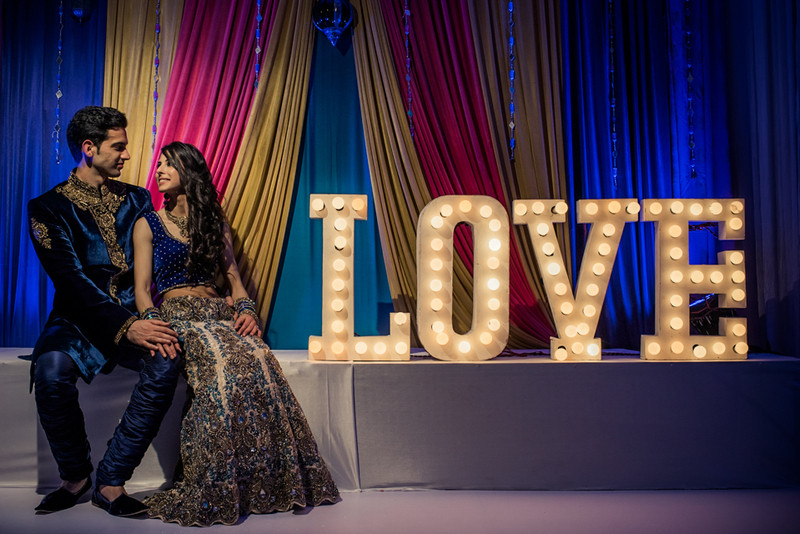 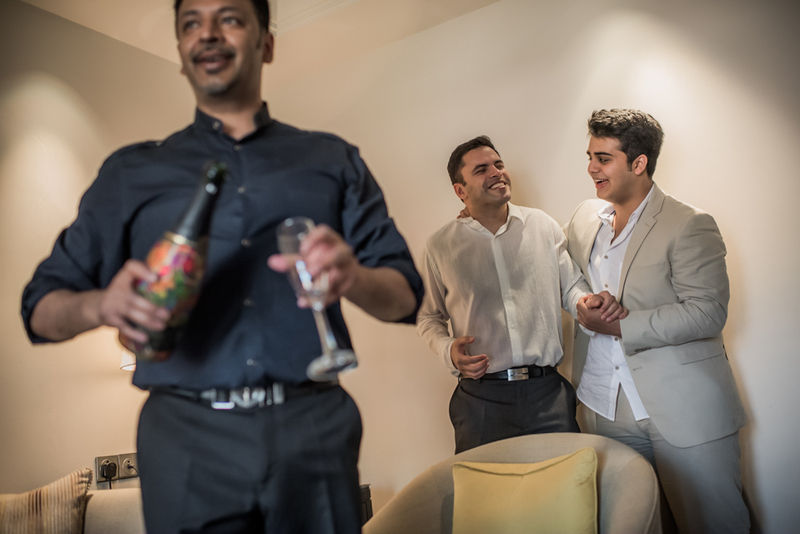 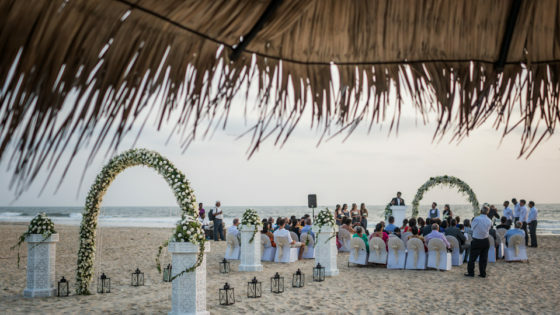 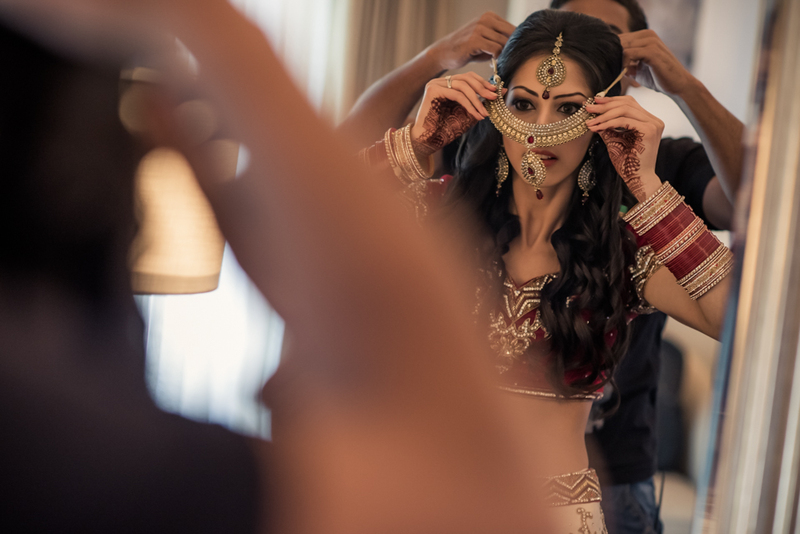 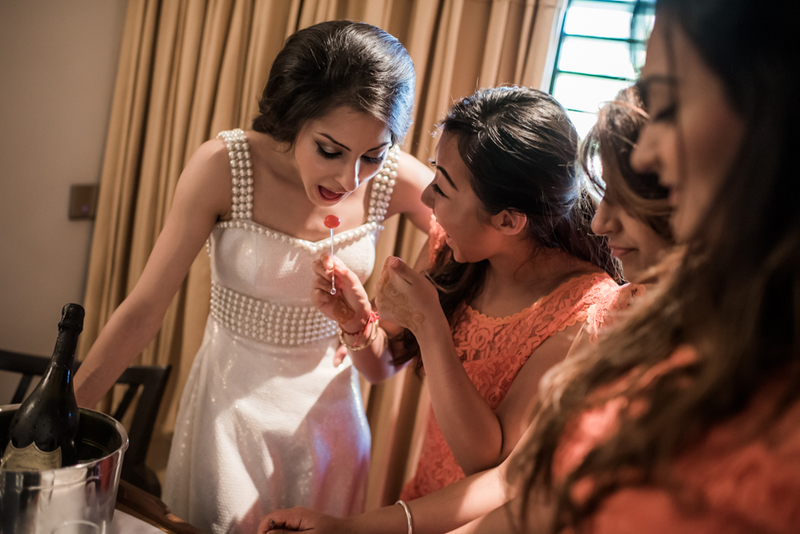 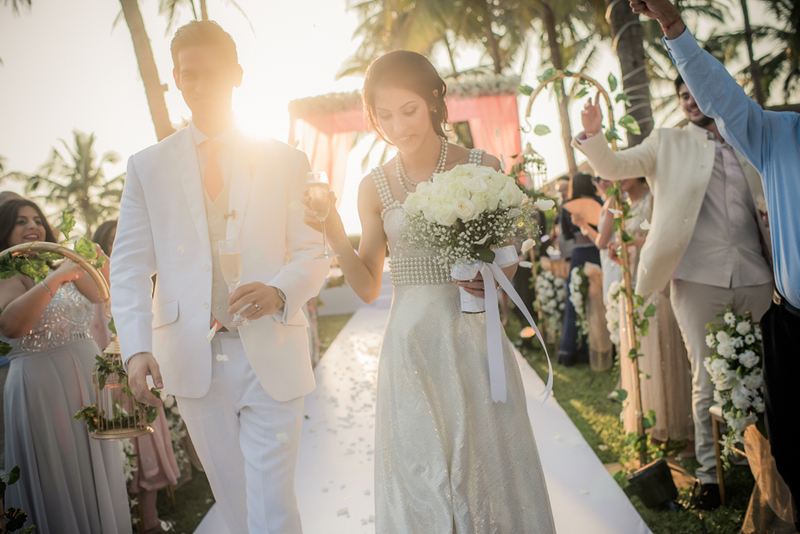 Initially, Priya was a little worried about the whole wedding and how it would all go as they were planning the whole wedding remotely from London. 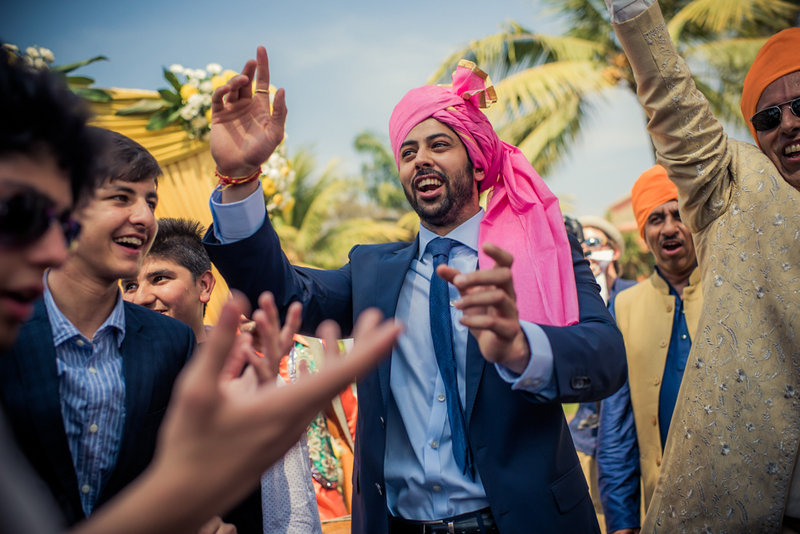 Gaurav, on the other hand, was super chilled and relaxed about everything! 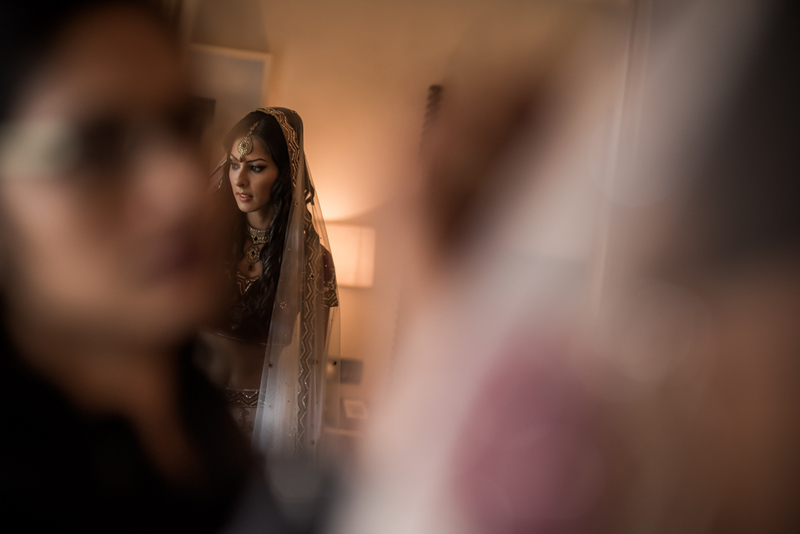 Things finally started falling into place by themselves as we came closer to the dates and rest was all history. 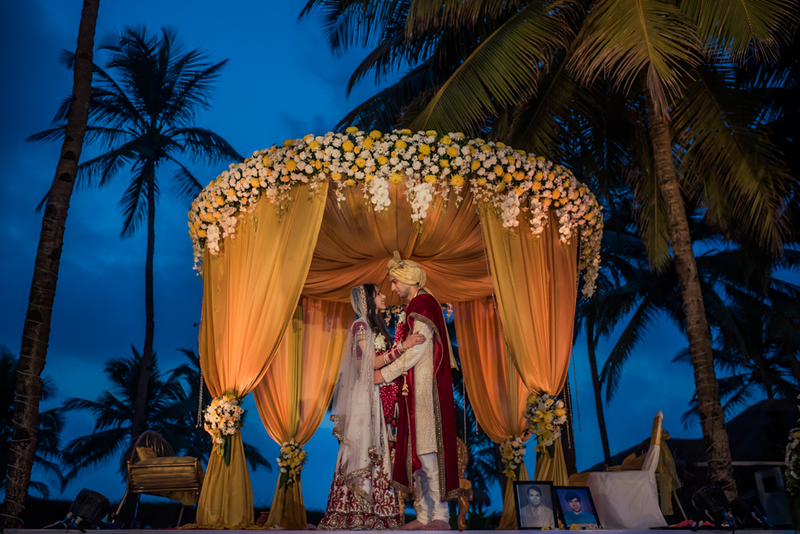 The first day of the wedding was celebrated with an evening sunset ring ceremony. 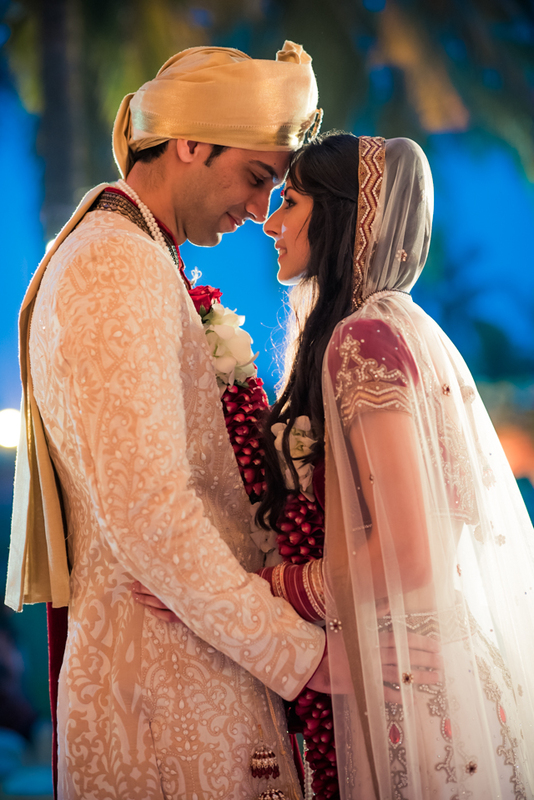 The couple vowed to stand beside each other throughout their lives. 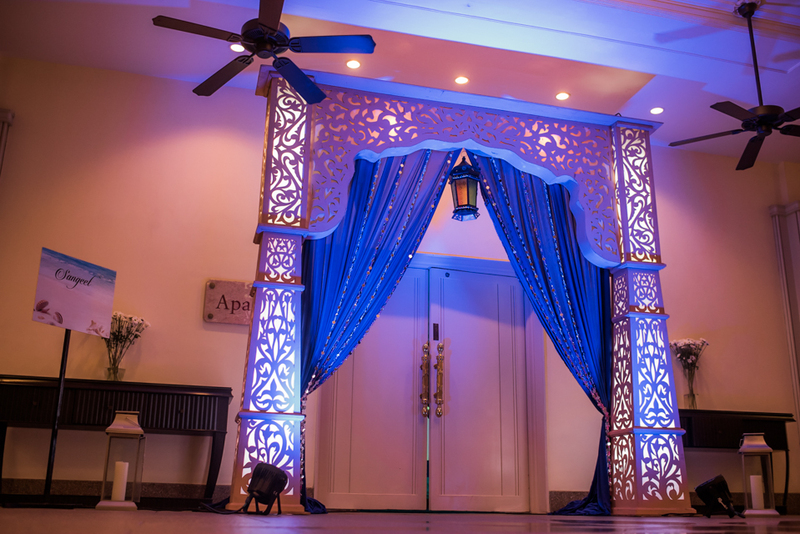 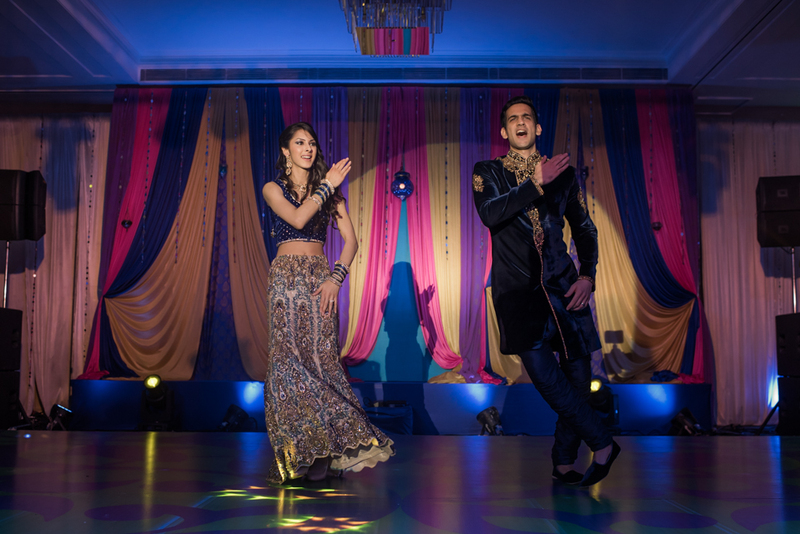 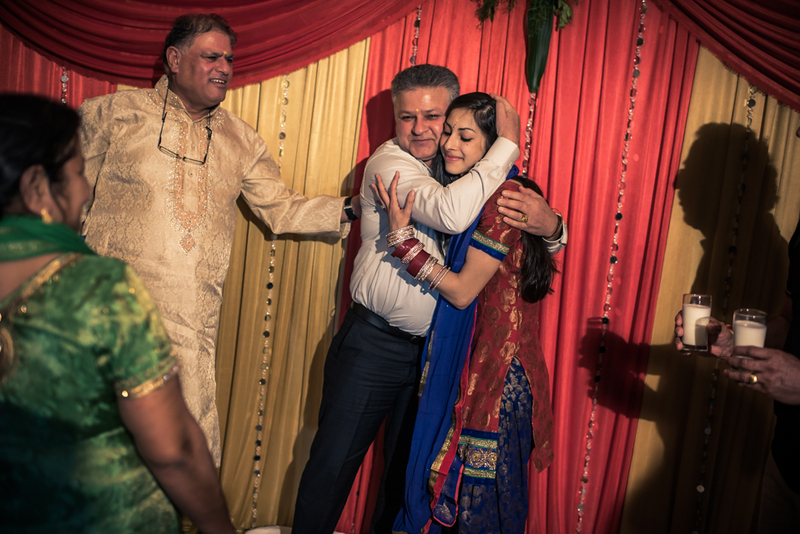 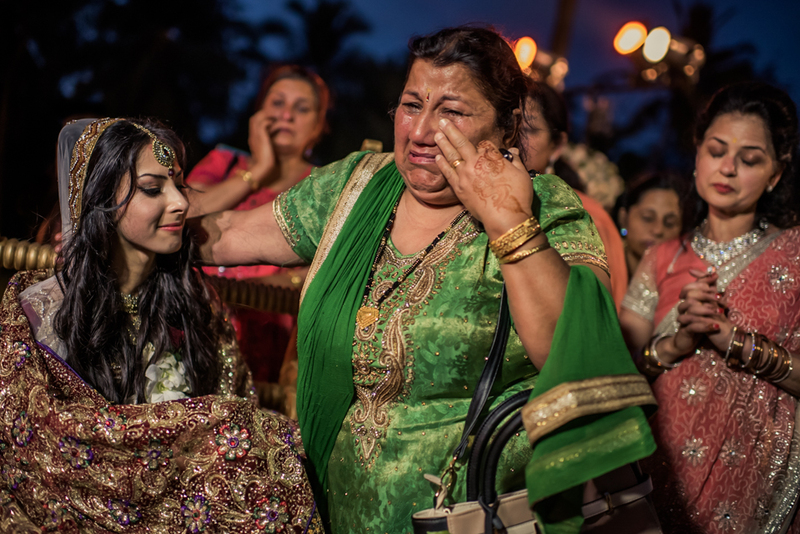 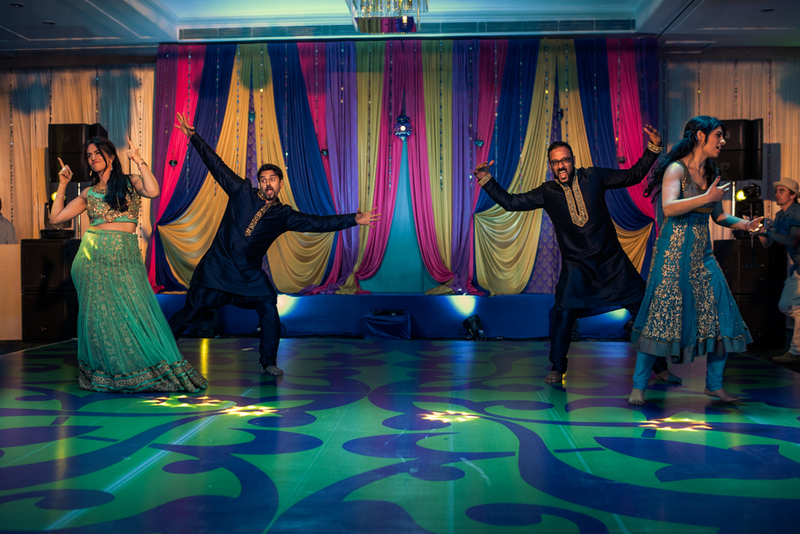 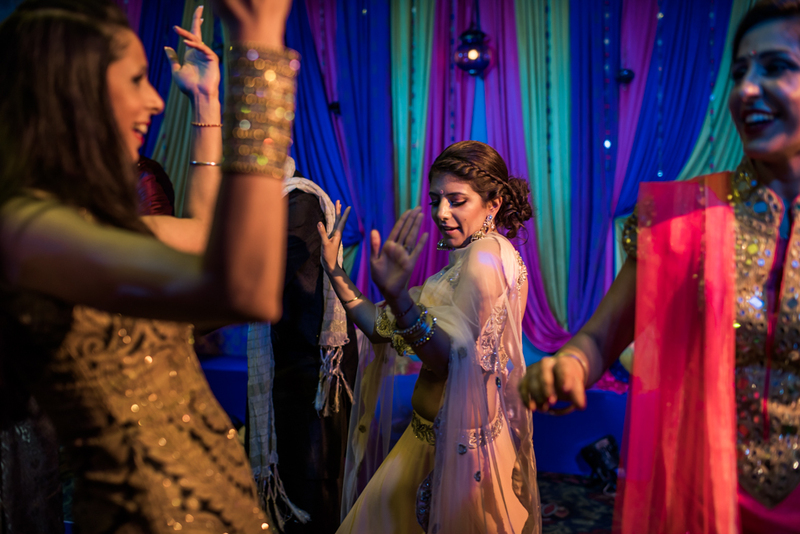 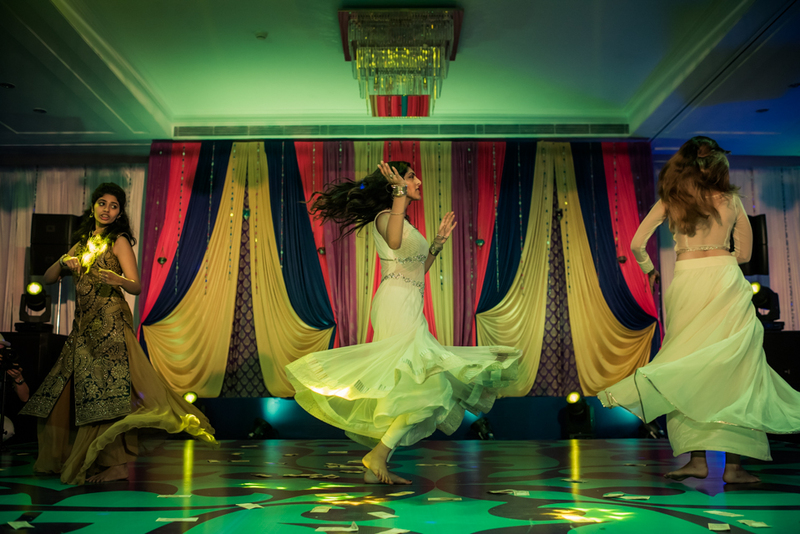 The ring ceremony was followed by late night sangeet, family performances, and DJ party. 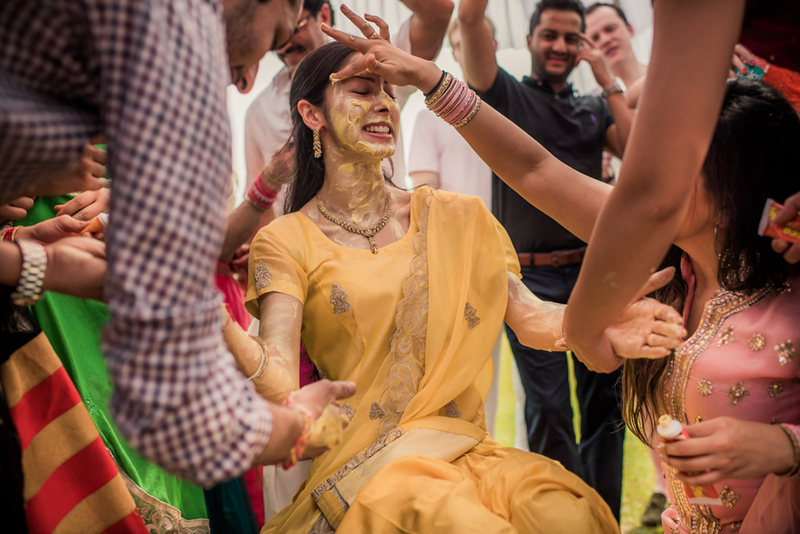 On the second day was the haldi ceremony, followed by baraat procession and wedding ceremony itself and then the Vidaai. 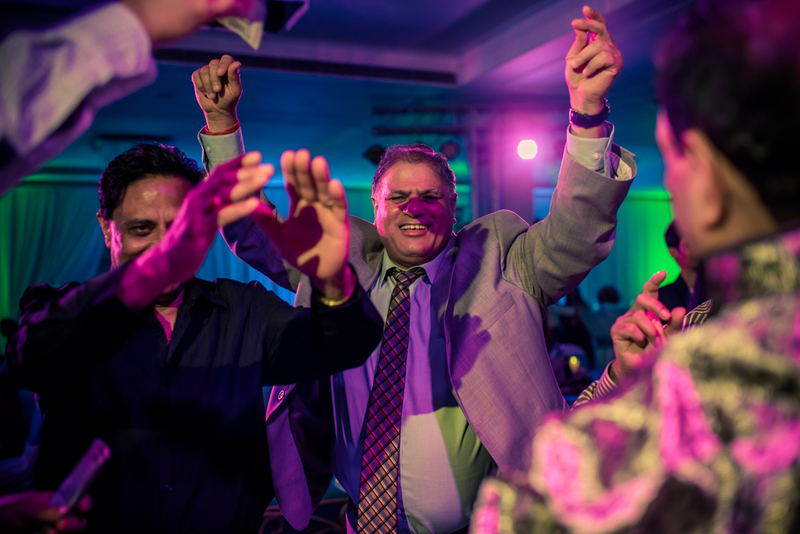 There was good food, great music, and in conclusion, we all had a lovely time. 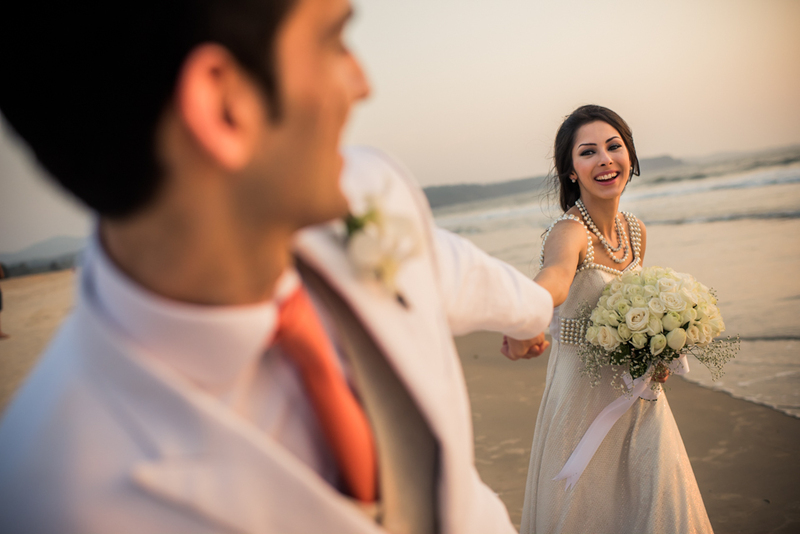 Furthermore a big THANK YOU to Priya & Gaurav to have me as their Candid Wedding Photographer Goa. 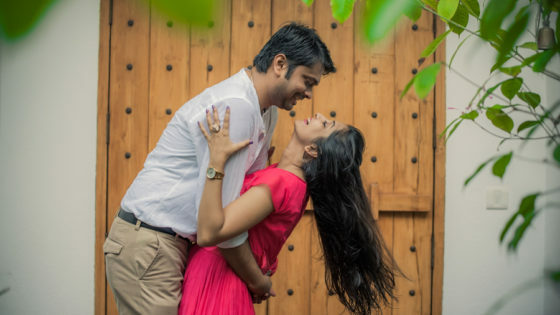 You two both make a sweet and a beautiful couple together 🙂 God bless you both!